Web 2.0 is not everybody's idea of a good thing. One problem is the multitude of password-protected websites. Personal blogs, virtual communities from Xing to Facebook, and sites that manage workflow, expenses, and vacation planning often rely on web-based applications with private user accounts. This overload of passwords and login boxes is causing some hapless users to lose track of all the options. As long as users work on a single, local, physical device (or can access a server in the vicinity), tools such as the password managers offered by most web browsers, as well as alternatives such as KDE wallet, are useful aids. But the Web 2.0 paradigm assumes the user can move about and log in from different locations. Identity management solutions provide a more mobile and flexible solution for simplifying web login. These tools often employ the principle of a trusted third party. A few large global players have stepped up with services that offer single-source, trusted third party login solutions. Microsoft's Passport system was created in line with this belief. Today, Microsoft markets Passport as "Windows Live ID" . Many users, however, are wary of becoming dependent on proprietary applications. An early alternative known as the Liberty Alliance Project  offered a more open approach, but it was widely regarded as an overspecified dinosaur, and the Liberty Alliance still has not found widespread acceptance despite a seven-year effort. The OpenID project, under the auspices of the OpenID Foundation , relies on simpler functionality that can be integrated more easily into online authentication systems. The provider-side server specifies the first relation; the second restates the name of the identity. The provider will typically set up a page to make this information available to websites that request login information. However, a user could alternatively integrate the necessary details into a personal homepage or blog. In that case, your own address would serve as your OpenID. An application that supports OpenID will display an OpenID login field in addition to the traditional login page. 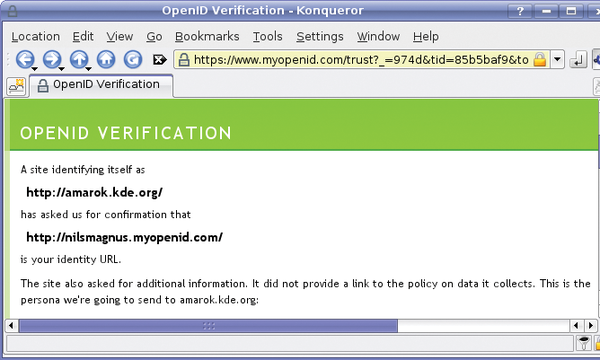 For instance, Figure 1 shows the OpenID authentication page for the Amarok wiki. 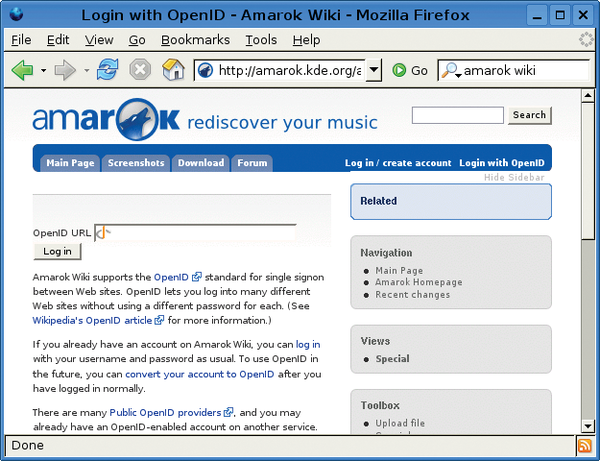 Figure 1: The Amarok wiki lets users login with OpenID. When a user enters the URI-based ID, the web application, which is known as a consumer in OpenID speak, retrieves the server portion of the URI. 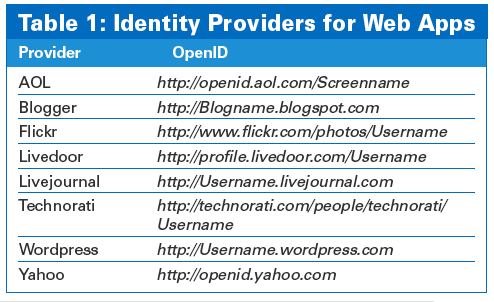 OpenID refers to the server as the identity provider. The consumer (the Amarok wiki, in this case) asks the provider for the name associated with the URI. To do so, it redirects to the provider's website, and the provider indicates who has issued the request. The user then agrees to the request by entering a password. The provider redirects the browser back to the consumer site, where the user is now logged in. One practical feature of OpenID is that you can store several attributes for a single identity with a provider, for example, your full name, your preferred language, or your date of birth (see Figure 2). A user who receives a consumer request can specify which data the provider should disclose to the consumer and which data to keep secret. Figure 2: The provider specifies the details it intends to send to the consumer. This approval process is important for preventing the misuse of a critical parameter, such as a bank PIN, which you can actually store along with your ID. Some providers let the user create multiple personae, each with a separate set of attributes. This approach is also known as User-Centric Identity Management, in that every user can individually define the information the provider supplies to inquiring consumers. Some identity providers issue identities for free. It is up to the user to decide which provider to trust. In contrast to the centralized approach used by Passport, a decentralized collection of OpenID providers compete with each other to offer services. Users are even free to set up their own provider. If you are interested in developing your own solution, open source packages are available in programming languages such as Perl, PHP, Ruby, Python, and Java . You might be asking yourself how secure OpenID is if anybody can act as a provider. Can an attacker spoof or hijack an identity? The first question points to a classic security issue: If you can manipulate a third party website, you can redirect people to your own identity provider or write one to fit the bill. In other words, security is in the hands of the people running the hosting site. Considering the code quality of many sites written in popular scripting languages, this is a concern, but not a fundamental argument against OpenID. The second question is trickier: Can a hacker sniff the communications between the consumer and identity provider and store the sessions? After all, the provider sends a confirmation message in case of successful authentication. An attacker could try to present a recorded session as credentials for a new login. However, this can be prevented by enabling OpenID SSL/TLS to secure the connection and adding a challenge to each request. This approach means that any response will be valid once only, which rules out trivial recycling. Despite this, it is not a good idea to underestimate the complexity of stateful session management in a stateless protocol like http, which is the basis for OpenID. The fact that various web applications have been compromised is a clear indication of the dangers, assuming you believe surveys and whitepapers .